I’ve been meaning to update my 20-year old car, but the love of music, and buying the audio gear that reproduces it, keeps getting precedence. Fueled by a life-long passion for audio, my reference system has evolved over the course of many years starting with a Sony boom box at age 12. During all those years many pieces came and went. 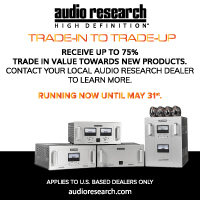 As with many kindred audiophiles, the very slow process of sonic improvement involves selling the weak link component and buying a better one, whenever saving, horse-trading, or sweat equity makes purchases possible. With so much great gear out there, it’s exceedingly difficult to skinny-down my own “favorites list” to a scant seven components. However, a few have stopped me in my tracks, arrested my desire to flip them, and elevated the performance of my reference system with a synergistic contribution aligning with my personal sonic preferences. 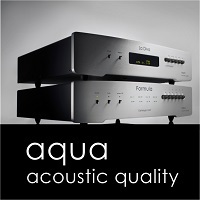 Each of my favorites have taken long-term residence in my home due to their fantastic sound, marvelous build, and exceptional reliability – all equally important. In each case, I’ve purchased those pieces of gear as my budget permitted. Putting my money where my ears are is the greatest compliment I can give to any audio component, and I want to thank the manufacturer of each piece for their dedication, passion, and hard work producing something that brings so much musical joy to my life. The Sonus faber Olympica III floorstanding speakers are beguiling for their astonishing sound as well as their dashing good looks. While they have limited capability for producing the lowest bass frequencies, they won me over with their organic sound, incredible ability to produce a three-dimensional sonic image of any well-recorded performance, and the almost tangible way the drivers re-create instruments and vocals. 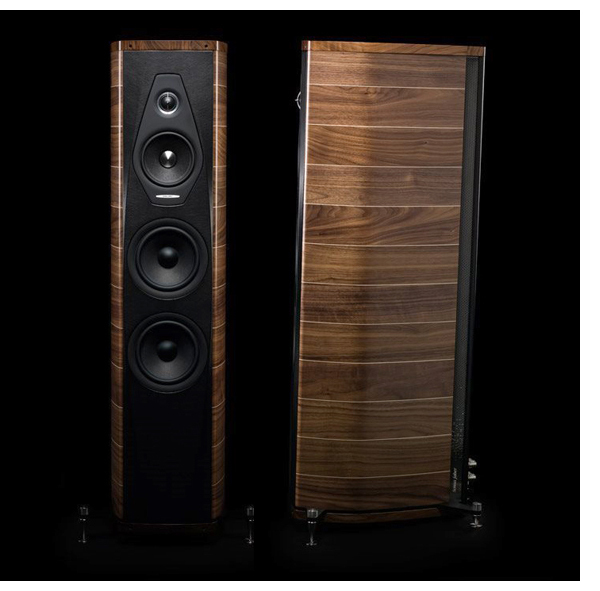 Sonus faber creates their own drivers in-house, and therefore can wrap them in an ideally mated cabinet design. Listening to Johnny Cash’s American IV album through these speakers still proves revelatory. Closing my eyes, Olympicas can provide me the momentary illusion that Cash himself is sitting in the living room. 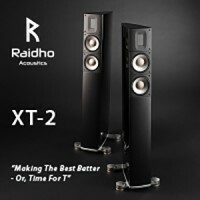 In a world of cost-no-object speaker designs, $12,500 is a very fair price for speakers of this quality. While Sonus faber produces even higher-end speakers, the Olympica IIIs demonstrate very little compromise and reveal all the nuance of components upstream – even when those components might be more expensive than the speakers themselves. Of the amps I’ve enjoyed over the years, the Burmester 911 Mk3 stands strong as a current favorite. First, the Burmester’s outward appearance demonstrates not only gorgeous aesthetics, but incredible attention to every detail. Beautifully crafted heat sinks and an equally elegant ventilated top panel hint at the musical beauty locked within. However, the 911’s voice confirms it immediately. Sound reaches ever so slightly to the warm side, but with detailed reproduction that captures every nuance of a recording. 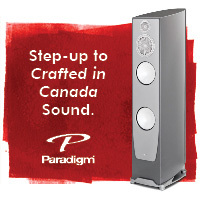 With 350 watts of solid-state power into 4 ohms there’s plenty of juice for virtually any speakers mated with it. Crystalline highs, beguiling mids, and a tight, controlled, musical bass leave no frequencies un-pampered. 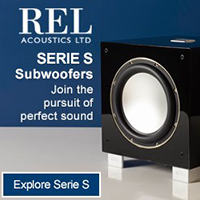 Along with the delicate sound reproduction comes a soundstage that extends away from the speakers in all directions. Vocalists stand out front, ambient details stretch to the sides of the speakers and though the rear wall behind them. 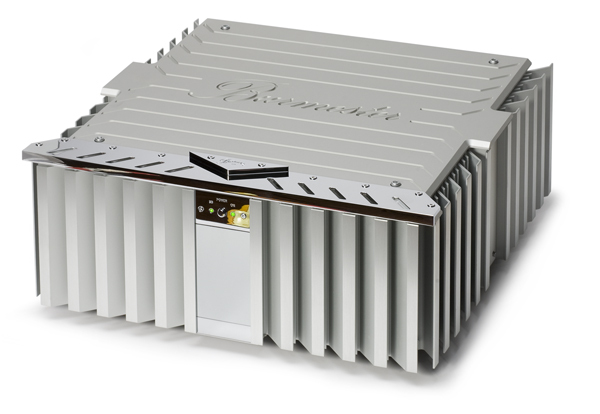 This Burmester is a marvelous amp and certainly one that has proven itself worthy of standing the test of time, in both my system and our publisher’s. While SME’s 20 and 30, exceed its capability, the model 10 proves itself a workhorse with sonic reproduction, and a show pony in aesthetics. Yes, it was love at first sight. 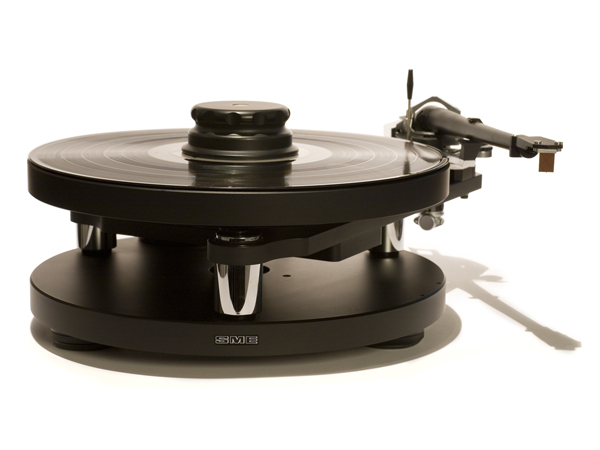 The SME model 10 turntable looks like a modern sculpture. 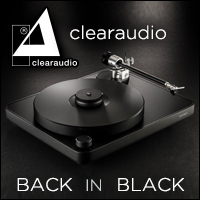 Though it’s an entry-level turntable in the SME family, the model 10’s build quality does not reveal any shortcuts. With a unique vibration dampening system beneath the heavy platter, records spin uninhibited. A screw-down record clamp holds vinyl to the platter with a tight grip allowing the tonearm and cartridge to pull each nuance from the record grooves. Mated with a matching SME 10 tonearm and a great cartridge, the ‘table offers a wonderfully organic analog experience. The model 10 also offers an upgrade path for those who seek it. The SME V tonearm takes it to an even higher level of musical reproduction. Price-performance wise, Oppo’s players are a pinnacle of achievement. At $499, the BDP-103’s produces stellar video and audio reproduction. On the video side, rendering of Blu-Ray discs and streamed video content offer a wonderfully crisp and colorful picture. 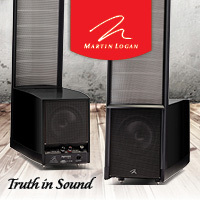 On the audio side, 7.1 surround sound proves equally remarkable. As another plus, the BDP-103 is a very good Redbook CD/SACD player or transport when used solely in an audio capacity. With a wireless or Ethernet internet connection, BDP-103 enables streaming directly from Netflix, Pandora, and other sites as well as music streaming from a NAS. 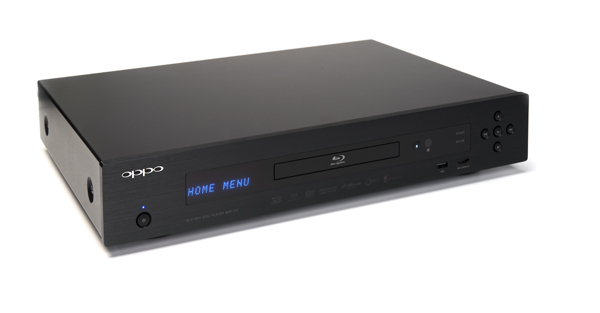 There are more resolving (and more expensive) players including the 103’s brother the Oppo BDP-105. However, for a one-box unit that serves so many purposes in a home audio-visual system, I find myself hard-pressed to suggest another player that does so much, so well, at its price point. 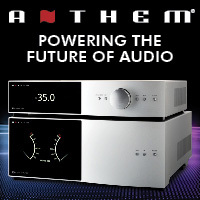 As with power conditioners and vibration control, speaker and interconnect cables can have a sonic impact on system sound. The more revealing my reference system has become, the more the subtle differences between cables become evident. After experimenting with many to find the best synergy for my own system, my quest led me to a USB cable from Jena Labs. 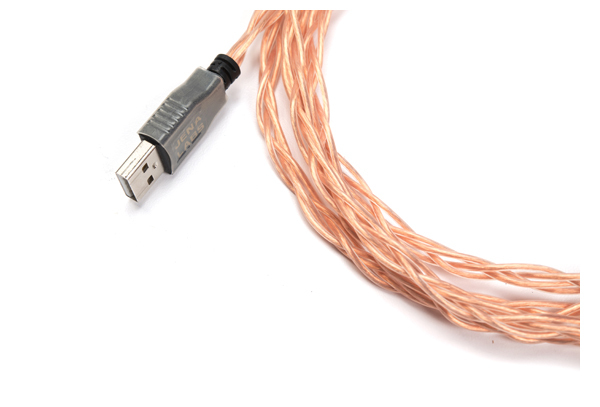 Made of braided, liquid nitrogen immersed, high-quality copper, all the Jena Labs cables are hand-made in Oregon. 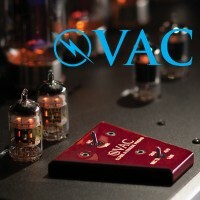 The cable enables wonderfully natural, rich sound, plus great extension of lows and highs without any harsh etch that can accompany higher frequencies with some cables. I keep several other high quality USB cables on hand for testing, but none get as much dedicated listening time as the Jena Labs USB. When traveling on planes, custom in-ear monitors are a best friend. Not only can they seal out the sounds I don’t want to hear, but they allow me to pipe into my head exactly what I do want to hear. With a tight ear seal keeping unwanted sound out, they can enable great sonics at a lower volume, reducing ear strain. I purchased my pair UE18s three years ago, and still use them many times a week at the gym, on walks, riding mass transit, and during all my travels. 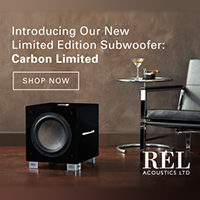 The fit is perfect, and the sound they produce offers a very detailed, but non-fatiguing quality. With a snug-fitting IEM hugging the ear canal bass is robust and tuneful, with great mids and highs elevating the sense of musical enjoyment. I also enjoy JH Audio JH16 IEMs, but the UEs were my first custom IEM purchase and they have proven durable well beyond my expectations. I love their sound as much today as I did when they first arrived in the mail. At the same time I sent my earmolds to Ultimate Ears to make UE18 IEMs, I also had them make for me a matching set of custom ear plugs. I love recorded music, but of course, have a passion for live music too. 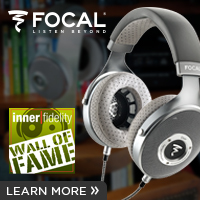 These provide the perfect way to protect one’s valuable hearing, but not completely muffle the sound of the performance. UE’s ear plugs are made of a firm but flexible translucent material that seals the ear canal perfectly, just like their IEMs do. Because the ‘plugs are designed to maintain a neutral sound, it’s rather like having a volume knob for your head. No Frankenstein-esque bolts are needed though. 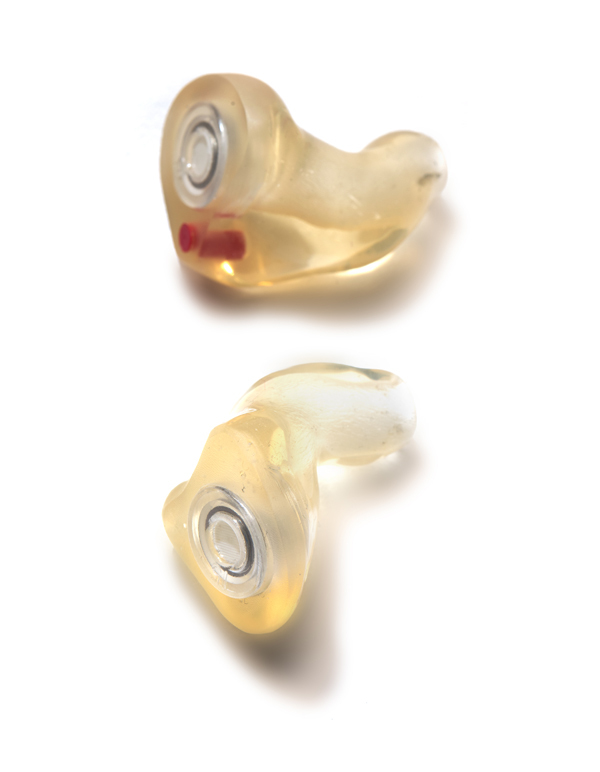 To accomplish this feat UE offers each owner a choice of small filter inserts that slide into the earplugs and reduce external volume by 9, 15 or 25dB. Those who need varying levels of hearing protection for different environments can buy all the filters and change them easily on-the-go. I use the -15dB inserts every time I go to a show.